This morning while reading Hebrews 11, I was remind again of the value and virtue of faith. Faith is the quality of God’s greats. And they too were mocked, ridiculed, and scorned. Some were beaten. Others stoned. And some were martyred for their faith. This chapter defines faith. Illustrates faith. And provides the incentive to courageously pursue the path of faith. A preacher once asked a poor and uneducated woman, “What is faith?” She replied, “I am ignorant, and I cannot answer well, but I think it is taking God at His word.” I think she answered well. And accurately. Faith is believing when I don’t see it. Faith is obeying when I don’t understand it. Faith is persisting when I don’t feel like it. Faith is thanking before I receive it. Faith is trusting, even if I don’t receive it. Faith is the Substance of our Hope. The word “substance” carries the idea of support. It literally means, “placing under, or place a thing under.” It is the foundation. The substructure. The base. Our faith is not founded upon fables, fiction, or feelings. It is founded on facts. The fact that God is. The fact the Jesus is the Son of God. The fact of His death, burial, and resurrection. We have solid evidence in the accuracy of the Word and the promises of God. The Bible says there is “one hope” (Eph 4:4). That hope is in Christ. It is a living hope. An eternal hope. A heavenly hope. If you have a problem with faith, remember “faith comes by hearing, and hearing by the Word of God (Rom. 10:17). Get back into the Word. Read Hebrews 11. Study the men and women of faith. Faith is the ability to see the unseen. 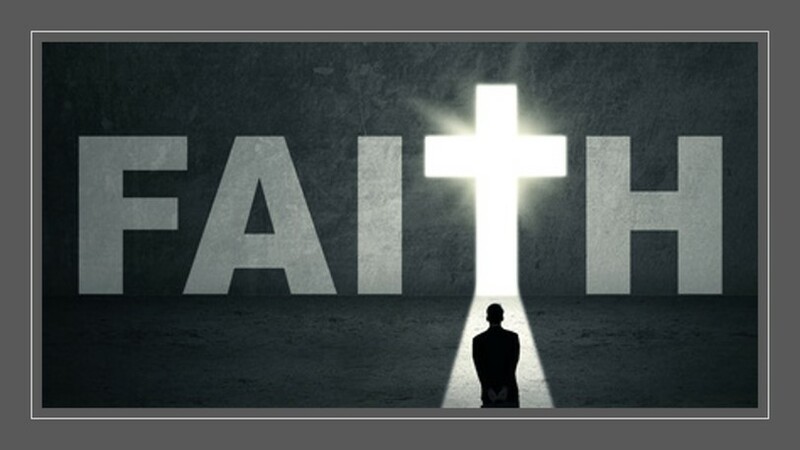 An unknown writer expressed it this way: “Faith sees the invisible, believes the incredible, and receives the impossible.” Through the eye of faith, we see God. We see Jesus. We see beyond this world into the next life. Faith triggers action. Note the people of faith in Hebrews 11. They sought God and expressed their faith not just in words, but in deeds. In a world that has lost its way and its faith in God, do not be dismayed, discouraged or dissuaded from your faith. Dear Ken — How you “frame” many social issues is IMO, just not objective. Overwhelmingly, VP Pense’s Faith is not being mocked — it is the term “thoughts and prayers” which is criticized. This “buzz phrase” which gun advocates use a-lot results in no actions being taken by Congress and State Legislatures. The more complete term being used by many Christians is that we need more than just “thoughts and prayers”. Our Faith is based in this concept — “You’ve got to walk the talk” and “Actions really do matter”.